The Hotel du Faucon in Fribourg is a small and modern 4 star hotel located in the historical center of Fribourg. It can be reached with a five minute walk from the train station and five minute drive from both Fribourg exit on the highway. The Hotel du Faucon in Fribourg has 23 freshly renovated rooms and a restaurant. Located in a quiet street close to the cathedral and museums, this hotel allows exploring and dining in the center of Fribourg without taking a car. Hotel guests liked the quiet and central location and the spacious, clean and comfortable rooms. Services: Restaurant, Free WiFi , Business Center. 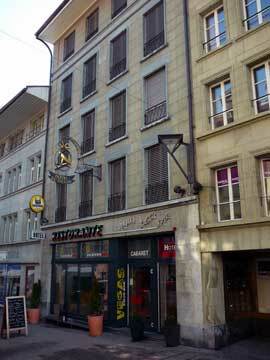 Nice location in the center of Fribourg and close to the train station. Clean rooms and friendly staff.